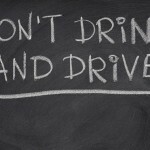 In a typical DWI arrest, the arresting officer will seize your driver’s license and give you an Order of Suspension. If you are arrested for DUI and do not receive an Order of Suspension from the arresting officer, you’ll receive one in the mail from the DMV along with a 30-day temporary license. Your suspension begins when your temporary license expires. If the officer did not confiscate your license, you’ll have to take or mail it to the nearest DMV office. If your driver’s license has been – or is about to be – suspended, it’s imperative to speak immediately with a good DWI defense lawyer. You have only ten days to request a hearing to challenge your driver’s license suspension, so you’ll have to act quickly. 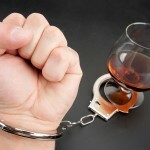 If you’re charged with DUI and face a driver’s license suspension in southern California, speak with an experienced Orange County DWI defense attorney right away.